The proposed deal by Burger King Worldwide Inc (NYSE:BKW) to acquire Tim Hortons, a Canadian coffee and donut chain for $11.5 billion involves Burger King changing its tax base to Canada. However, a group of U.S. Senators opposed to the move has urged the food chain to shelve such plans. 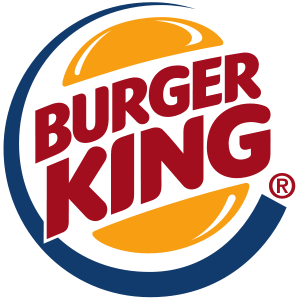 From corporate tax point of view, Burger King Worldwide Inc (NYSE:BKW) will save a lot of dollars by moving its tax domicile to Canada. This is because Canada has lower corporate tax rates. Moreover, Canadian tax system doesn’t demand for tax payments on company earnings abroad. The group of Senators has argued that the move by Burger King Worldwide Inc (NYSE:BKW) would be unfair since some of its U.S. employees rely on medical care and food stamps that are directly funded by tax collections. They are also concerned that the company will evade a lot of tax payments yet it also benefits a lot from infrastructural developments in the U.S.
the group said in the letter. The proposed move has generated a lot of questions than answers. Some have asked what would become of Burger King Worldwide Inc (NYSE:BKW) if America citizens refused to buy from the food chain due to the move. Others have asked whether the inverted taxes would be enough to cover up for such a possible backlash. Burger King Worldwide gets more of its income from the U.S. with 2013 registering $604 million from the U.S. alone out of its total worldwide revenue of $1.1 billion. A number of U.S. companies are working towards inversions. The group of Senators fears that such moves have the potential of weakening the U.S. corporate tax base, which won’t be good for the economy.